Jules Émile Frédéric Massenet was a French composer best known for his operas. His compositions were very popular in the late 19th and early 20th centuries, and he ranks as one of the greatest melodists of his era. 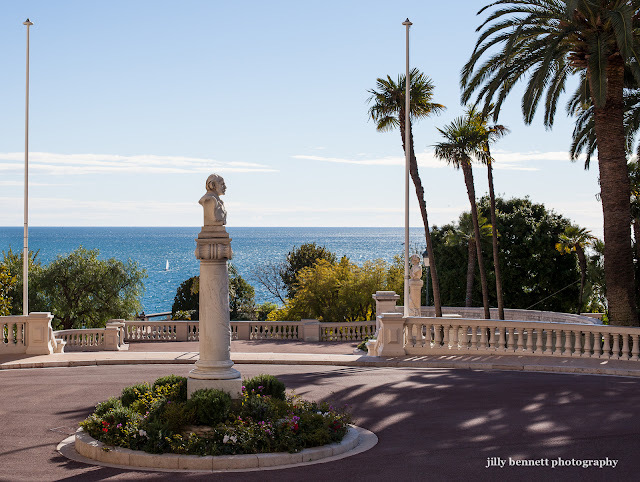 This statue stands, where it should, outside Monte Carlo's opera house, which is to our left. I have learnt something! Because the name of the opera I always thought it was Garnier. Poor mr Massenet! Domino, it is the Opera Garnier named after the architect who built the Paris Opera House too I think. 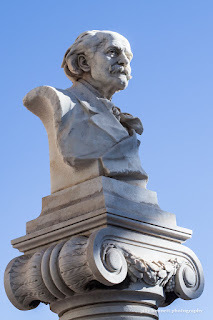 Massenet wrote operas!